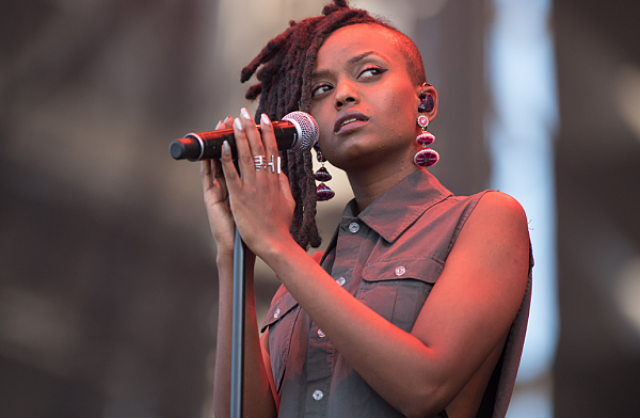 If you’ve never listened to Kelela’s music, then you probably don’t know how long people have been waiting on her. You’ve probably never heard the complaints that she’s taken too long to release her first studio album. And you probably don’t know that although fickle, the grievances are warranted, given the success of her first two mixtapes, 2013’s seductive Cut for Me and 2015′s hypnotizing Hallucinogen. She’s heard the gripes. But sharing vulnerabilities with the world isn’t easy. Doing so takes a certain level of thoughtfulness and respect. Kelela knows that too, which is why she took her time before finally releasing her first studio album, Take Me Apart, on Warp Records on Friday. “I sort of had to have all of the experiences that I am speaking on throughout the album. And it’s part of the reason why it’s taken so long. It’s all very personal and sort of drawn from my actual experience,” she told Newsweek during a phone call Thursday. The narrative the Washington, D.C. native tells on Take Me Apart is one of confusion, loss and clarity.